In our Roundups segment, we’re looking back at all the great posts since the blog started in 2009. We explore posts from our archives as well as other top literary magazines, centered on a certain theme to help you jump-start your week. This week we have posts on writing and music. For thousands of years writing and music have been entwined (think Greek poetry and lyres). Today, perhaps more now than ever, we are seeing writers writing about music, and writers drawing inspiration from music. Need some good music to write to? 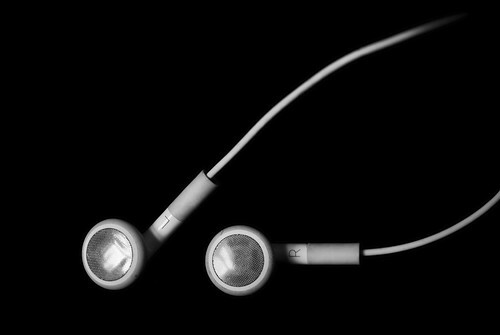 “Writing Soundtrack: A Step-by-Step Playlist” and “Ploughshares Playlists: When the Going Gets Tough, the Tough Get Moving” will start you off. From Bob Dylan to Daft Punk, James Scott reveals his inspiration for writing. Do you listen to music while you write? For Gretchen Kalwinski of TriQuarterly, it can be distracting. In “The Soundtrack of Our Books” Sharon Steel for The Millions discusses music as a promotional tool for authors’ works. In this article, Amit Majmudar for The Kenyon Review writes that language acts as “the hybrid, the dual-purpose medium” which ties music and visual art together. Here is a lovely article by author Emily Freeman on her website Chatting at the Sky about the music that inspires her to put pen to paper. Which songs inspire you to write? Jon Simmons is the marketing intern at Ploughshares Literary Magazine and a BFA in Writing, Literature & Publishing candidate at Emerson College. Jon writes short stories and poems and many to-do lists.